We interrupt your regularly scheduled program for some philosophical musings. Lately I've been doing a lot of canning as well as re-canning to round out the pantry -- peas, carrots, mustard, pizza sauce, salsa, chicken broth, things like that. I've also been harvesting the garden -- right now it's pears, onions, potatoes, and herbs. Oh, and seeds. I've been harvesting seeds -- broccoli, corn, melons, tomatoes, beans, etc. Already we're looking ahead to next spring. We'll save some potatoes for seed. The garlic is already planted. We're getting in more tractor tires to expand our raised beds. We enjoy this miraculous cycle of food production and the seasonal changes it brings. The cycle of harvests in this country used to be entirely dependent on seasons. 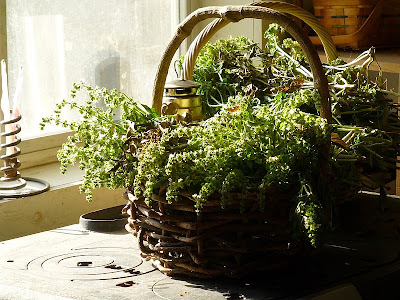 Due to a lack of refrigeration as well as the inability to dependably import things from abroad, everyone was forced by necessity to preserve food during times of abundance in order to get them through the lean months of winter and spring. But the artificial abundance in grocery stores has disrupted that cycle. Now we fully expect strawberries in January and corn in May. We import foods from all over the globe to fill those expectations. Since a cycle of harvest and preservation is no longer necessary for our survival, we’ve completely forgotten how to do it, and even why to do it. People expect fruits and vegetables even out of season, simply because they can. These out-of-season foods are relatively inexpensive and available in even small towns or rural areas. The complacency toward food (and other supplies) as a result of this easy availability has made us unable to grasp its absence. Our approach toward abundance is casual, relaxed, even careless. So what if I don’t have any flour in the cupboard? I can always get more tomorrow from the grocery store. Now what would happen if the bleep were to hit the fan? To find your answer, visit any Wal-Mart and look at the food aisles just before a major storm or hurricane makes landfall. They are stripped bare. People are panicked. There is pandemonium. Anger. Fighting. If you visit any wholesale grocer or Costco location, the amount of food you see at any one time would feed about 30 people for a month. Or 60 people for two weeks. Or 120 people for a week. That’s it. Now how many people live in your city? Do the math. I don’t care how many grocery stores are scattered throughout a metropolitan area –- there simply isn’t enough food in those stores to support the population for more than three days. Three days until anarchy breaks out because people are hungry. Three days. Yet we can still –- right now, as of this writing -– buy a 50-pound bag of rice for about $20. No lines, no panic, no chaos. 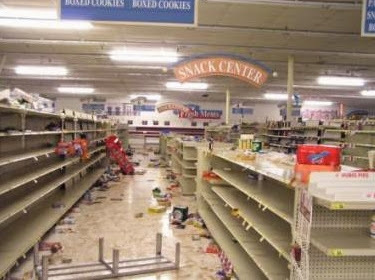 Folks, it’s not necessary to face panic and pandemonium from empty store shelves if your pantries are already full. 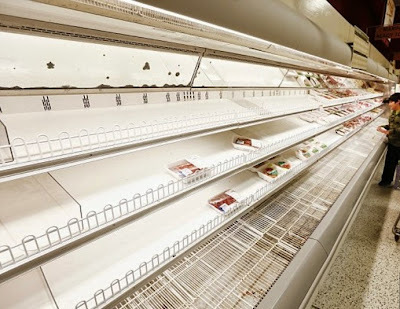 If you have the ability to casually waltz -– tra la la -– into a Costco or wholesale grocer and stock up on basic foodstuffs while things are calm and no one’s worried, then you have no need to panic before that storm or if the bleep hits the fan. In other words, take advantage of the abundance of this country. While food and other supplies are cheap and available, it behooves us to store things against the times when supplies may be scarce and expensive. We must also learn ways to preserve that abundance. Food preservation is a dying art, but what an art it is. Learn to pack dry foods (such as beans, rice, or oatmeal) to keep them away from moisture, rodents, and insects. Learn to dehydrate. Learn to can. 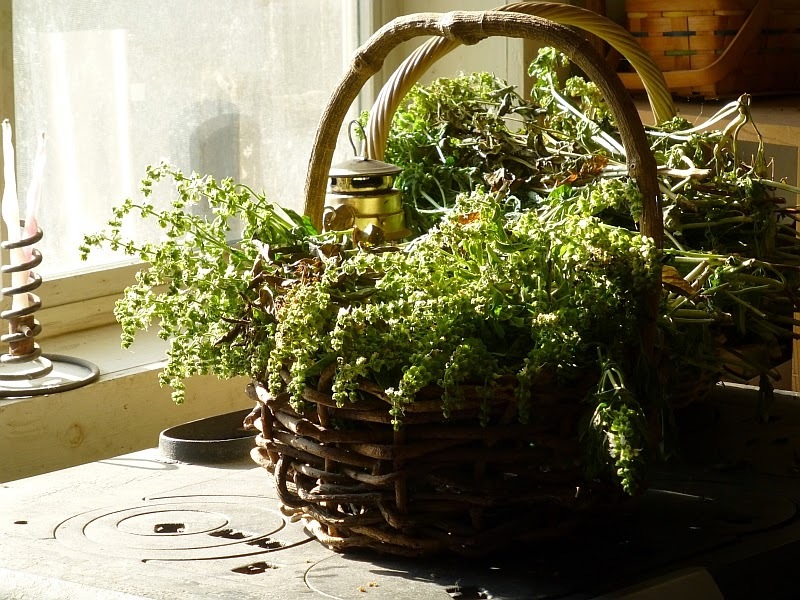 These methods of food preservation are vital if we're ever faced with lean times. I am bothered by the cavalier attitude that even struggling people have toward abundance. For better or worse, the safety nets in our country have cultivated an attitude of flippancy among everyone. No one will starve because someone will always provide food. It’s kind of like the tragedy of the commons: what’s freely available isn’t valued. Somewhere along the way we’ve lost the notion of personal responsibility (“I will can these carrots”) and developed a sense of entitlement (“I won’t bother canning these carrots because someone will give me more carrots next week”). Abundance is a blessing, a blessing people won’t miss until it’s gone. Like all good things, it must at some point come to an end. In the past, smart people recognized the fleeting nature of abundance and took steps to make sure they wouldn’t starve in the interim from harvest to harvest. In our current time of abundance, it behooves us to preserve food for a time when it might be scarce. As the saying goes, we would rather be prepared for nothing, then unprepared for everything. This concludes my philosophical musings for the day. Now back to your regularly scheduled programming. Shared on Facebook. This is well stated, and should spark some thought I hope. Absolutely. You hit the nail on the head. You have said it all so perfectly and logically. I have passed this on to all my family and friends in hopes that your sensible and logical advice gets thru to them where my warnings have failed. Thank you Patrice.... keep at it please. Couldn't agree more. Bulk buying/growing then processing is defiantly the way to go. I love Costco for that. Another place to get good prices on bulk foods are restaurant supply stores. Anyone can buy from them and there are usually in cities of 100k or more. One I use when I get down to Spokane is Cash and Carry. The run weekly specials from Monday to Sunday and boy howdy, have I found some deals. One does have to buy bulk for some things. In July, I bought a (Choice) Bone out Rib Roast for $4.79/# with 18# average, fresh (not yet frozen) while Safeway up here had Rib Eye (bone out) selling for $10.79/#. I got 38 good sized Rib Eye Steaks for half price. Also got a 50# sack of Baker potatoes (the ones stores sell for a buck a piece) for under $8.50. Point I'm trying to make is that everyone should think outside the box when stocking up and where good deals are available. Check out any suppliers in your own areas and use them to your advantage. So wise. The way you are purchasing and storing your produce is no different than our great grandparents did. I have so many people in my circle of influence that tell me I have no faith in God because I want a stocked pantry. Really?! It's simply a different way of shopping than is the norm now days. No paranoia here. If you don't stock up.....I question your faith in Wal-Mart and HEB....not your faith in God. Those people in your circle of influence don't understand the Word of God. It's not a lack of faith to be prepared. By not being prepared and expecting God to provide all our needs while we just go about other, more "important" things, is to TEMPT our God. Jesus told Satan "Thou shall not tempt the Lord thy God." Putting ourselves in harm's way and then expecting God to protect and provide for us is tempting God and it is wrong. Stacy, yes we are so tired of hearing Christians parrot clichés? Mercy, how many times must they say, "God will provide", or "God is in control." Halleluiah, that was easy! Too often I believe these Christians are simply looking for a reason to sit on their thumbs and do nothing. Next time ask the hypocrites where their faith in other areas of their life? Do they purchase health insurance, life insurance, dental insurance, prescription drug insurance, workers comp, home-fire-theft-flood and liability insurances, renters insurance, AAA road service, auto liability-collision-comprehensive insurances, and same for motorcycles boats and RVs? Do they take vitamins, get vaccinations, use sunscreen and bug repellant? Do they keep fire extinguishers on hand? Do they lock their doors at night? Use seat belts? Buckle up Buckaroo! Do they give cell phones to their kids 'just in case'. Don't forget to buckle up. And the list goes on. Why do they do this if they believe, 'God will provide'? I've yet to hear anyone explain these contradictions. Interestingly most of these insurances protect blessings that God has provided. But yet they feel compelled to put their ‘Insurance company in control’. Hypocrites! I have had the same thought about tempting the Lord. It just doesn't make sense to me not to be somewhat prepared. I've been accused of being fearful because I have a well stocked pantry. But if I need it to feed my family, I won't be fearful, I will thank God that he gave me some sense, and that I listened to the Holy Spirit. You have faith in God, He made you smart, and you are using His gift! I call it " food Insurance " , our pantry is well stocked as I can a lot and it has come in handy more than once during lean times. . I also sell some of my caned goods at Farmers Markets to make ends meet. Try as I may I just can not get through to my children how important it is to put things away for that rainy day. Too many of this generation think food will always be available and in large quantities . Thanks Partice for a great article. If there is an earthquake or bomb blast, or a truck hits your house (this happened to a prepper friend, and started my little pet peeve), you can kiss most of your canned goods goodbye if there is nothing on the shelf to keep the jars from coming off. Without a better picture of your storage I have no idea if you are guilty of this, but as a a note to everyone who is, a rail on the front of the shelves, a bungee cord, or even a few winds of string will save you from a catastrophe. I wholeheartedly agree, and we are in the process of making stout straps from inner tube rubber to go across the shelf fronts. I plan to give a virtual "tour" of my canning closet when the straps are in place. Keep preaching, it's important that people do this! Pray tell, what do you mean by 're-canning'? Thank you! I guess I knew on some level you could do something like this, because my wife used canned pineapple in an Apricot Pineapple Vanilla Jam recipe...I just for some reason never thought of using the skill in THAT manner. I appreciate you giving me this 'light bulb' type moment. We have limited space and actually limited need (only 2 of us) to stock up for. 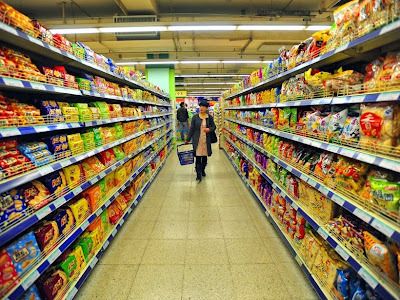 What I've noticed at Walmart inparticular is that there are frequently bare shelves for many canned/bagged staples such as rice, bagged dry beans, corn, soup, canned beans and it's not because they are on sale. Can't decide if it's higher than normal sales or lack of proper ordering but I find it mildly disturbing. When people get into discussions concerning putting up food, there are a few misunderstood truths. 1. It depended where you lived. If you lived in a rural area and your mother's family preserved food, you have a greater chance of putting up food. In post WWII neighborhood where everyone moved from the city to the suburbs, not very likely. At least it was that way when I grew up. 2. Not everyone (50, 60, 100) years ago put up food. I can go back to the early 1900's and know that the family did not put up food. 3. People who prepare for the future are either born that way, or they experienced an apocalyptic event that spurned a focus on food preservation. I was born a prepper. I love a full pantry. I include sewing in this mix as well. I am an anomaly in my family. They think we are "quaint." We have been doing this for years. Prepper is just a new name that people like to play games with. Patrice, while I have never re-canned food, I preserve food from our garden (failed gardeners for sure), and "local" farms but also the grocery store. Canning carrots is in the queue for us, and giggled when I saw your batch. I am new to ID, from WY; I traveled to CDA yesterday to familiarize myself with it and to pick up some items we have gone without as they are out of bounds expensive in the little town down the road from us (yes, it more than paid my fuel expense). The WM in Hayden has empty food shelves. I can't comment on other departments as I don't "shop" and didn't need anything. 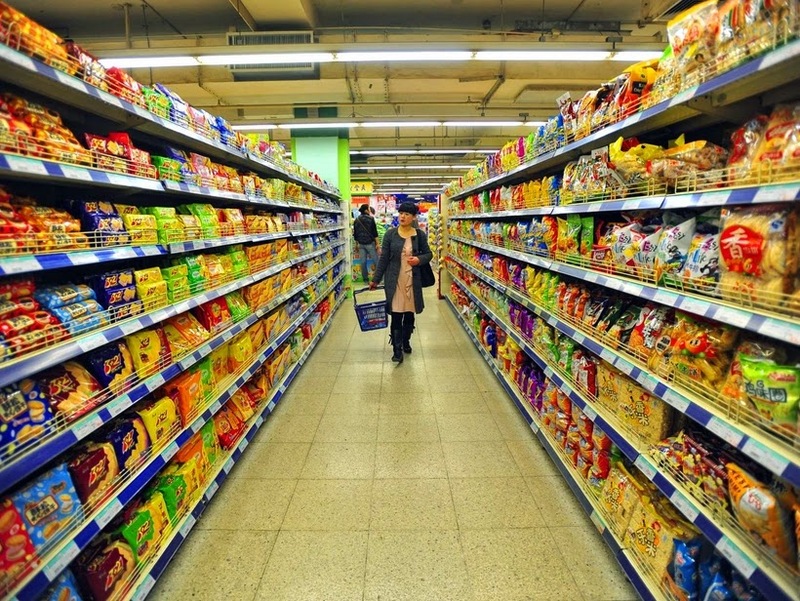 The empty shelves weren't for convenience or junk food; there was an overabundance of that. Corporate WM dictates how much of each product the stores get, apparently. Even a box of Rice Chex (a luxury for us) was nowhere to be found. I was pleasantly surprised to see #10 cans of dehydrated/freeze dried foods for purchase (not on my list--I do my own dehydrating). I have a pear tree to get picked, and stored. This years garden was put on hold as we were moving. Thank the Lord our God, that last year and 2012 we canned extra. Hi! I found your blog through a Facebook post. I am always interested in ways that I can save money and be prepared, so your blog definitely interests me! Are there any books, posts on your blog or other blogs regarding food preservation and other preparation tips that you know of that would be helpful to a newbie?? 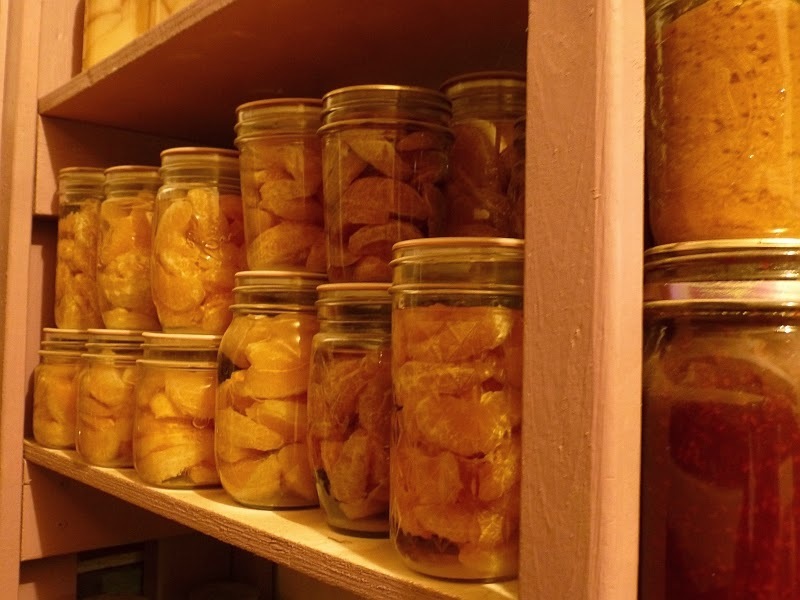 I saw in the comments of this post the link to your post about recanning - I really like that idea and will be reading that post next :-) thanks in advance for any suggestions. Welcome, Anon 9:27. You might look through the list of Key Words on the left side of the blog -- I have dozens (or hundreds) of posts that might be of interest.